19.52 Acres of Flat and Usable Land, Zoned as M-SC. Conveniently Located to Freeways. Exquisite East Bay Waterfront Home located in the Gated Community of Canyon Lake. The features of this Home are endless starting from the Construction which includes 100% Shear Paneling, 6'' Studs, 3/4" Drywall and Double paned "E" windows to all of the intricate Details on the Interior. The Interior Boasts a Grand Entry w/Water Feature; 3 Bdrms plus Media Room (could be 4th Bdrm); Open Living Room and Formal Dining Room w/gorgeous Lake Views; Kitchen includes Pantry, Double Oven and Wine Fridge; Master Bedroom features Double Door Entry, Fireplace, Amazing Lake Views, 9 Shower Heads in Shower, Jets in Master Tub, Spacious Walk In Closet and enjoy the breath taking views of the Lake from your Private Jacuzzi on the Covered Deck; Travertine Flooring throughout; 9' Doors Throughout; Built In Speaker System from Patios to Bar to House; Rich Honduran Mahogany Custom Built Wood Cabinetry in Kitchen and Baths; Built In Desk/Office area Upstairs; Whole House Vacuum; Whole House Air filtration system by April Air; Whole House Water Filtration System; Laundry Room Upstairs; 2 A/C Units; House wired for Ethernet. The Exterior features a newly constructed Built In BBQ Area and Pizza Oven on the Lower Patio; Down below the Entertaining possibilities are Numerous from the One of a Kind Cantina/Bar, this is a MUST see!! Don't forget the Dock with Lift and Over Sized 3 Car Garage. The Design, Layout and Upgrades of this Home are Spectacular, don't wait, schedule your Private Viewing today! Welcome to your own private paradise at the tip of Lake Elsinore on almost 4 acres & zoned for horses! Exquisite views from this beautiful custom 5 bedrooms, 3 bathrooms, 3648 sq ft remodeled home. This private retreat is perfect for entertaining w/extra large lot, sparkling pool w/gazebo area, private covered patio dining w/fire pit, large open picnic/dining area w/custom lighting, 2 wrap around decks & private access to Lake Elsinore. This one of a kind home features an open floor plan w/large living-dining area, wood flooring, new fixtures & fireplace. Also has remodeled kitchen w/granite counters, new fixtures, stainless appliances, large walk-in pantry, custom fire place & breakfast area. Includes 2 downstairs Master Bedrooms w/slider access to the lower deck, remodeled bathrooms featuring granite, custom tiling & upgraded fixtures. Walk upstairs to a vaulted, wood beamed ceiling bonus rm-family rm combo w/sliders leading to upper deck & amazing views of the lake & valley. Upstairs includes 3 large bedrooms w/slider access to the upper deck & additional remodeled bathroom w/granite counters, new stove, upgraded fixtures & custom tiling. Upgrades include ceiling fans & new custom lighting throughout. Also, has 2 car garage w/workshop/gym. Enjoy your outdoors experience w/a seasonal stream, mature landscape, beautiful shade trees, large vacant lower lots w/private lake access & views, views, views! All this w/NO H.O.A & low taxes. Must see to appreciate! Custom Built Waterfront located on a Cul-de-Sac offers an extraordinary lifestyle within the gated community of Canyon Lake. This desirable Upgraded, Single Level sits on a large Corner Lot within the East Bay. 3 Large Bedrooms, 2 Full Bath, Den/Family Room, Upgraded Kitchen with Granite and Stainless Appliances, Open Floorplan with Rock Fireplace, Laminate Wood Flooring, Newer Carpet in Bedrooms, Travertine Bathroom Floorings, Lots of Storage, Ceiling Fans, Recessed Lighting, Panel Closet/Bedroom Doors and RV Parking with two separate driveways. Entertaining is endless from several Patio Areas with Gorgeous Waterfront Views as well as your own Private Dock and Lift. Entertainer's Delight - Private Backyard hosts an Amazing Rock, Saltwater Pool and Spa with Rock Slide ... just in time for Summer, don't let this 4 Bedroom (Easily 5 Bedrooms) plus Bonus Room slip away!! Beautiful Views from your Balcony of not only the Hills but also the Fourth of July Fireworks Display. Master Bedroom is located on the Entry Level with Patio Doors out to Pool/Spa; Remodeled Master Bath with Double Sink Vanity; Completely Remodeled Kitchen with Hickory Beadboard Cabinets, Farm House Sink, Large Kitchen Island, Granite Countertops and Stainless Appliances; Travertine Flooring; Fireplace in Living Room which is open to Kitchen; Ceiling Fans; Recessed Lighting; Low Maintenance Yards; Over Sized 3 Car Garage; Boat Parking. Conveniently located to the North Gate within the Gated Community of Canyon Lake for quick access to Freeways and Shopping!! Beautiful Lake and Mountain Views from this 3 Bedroom Home which sits high above within the Gated Community of Canyon Lake. TWO BRAND NEW A/C UNITS JUST INSTALLED!!! Desirable Floor plan includes a Bedroom and Full Bath Downstairs; Spacious Living Room with Rock Fireplace; Granite Kitchen Counter Tops and Walk In Pantry; Ceiling Fans; Crown Molding; Mirrored Closet Doors; Large Master Bedroom with Patio Doors to covered Deck; Master Bath with Double Sink Vanity; Lots of Storage; Indoor Laundry Room with Sink and expansive Cabinetry; Low Maintenance Yard; 3 Car Garage plus Boat Parking; Pride of Ownership is plentiful including a newly painted Exterior. There are 4 separate Patio/Deck/Porch areas which are very private and perfect for entertaining and enjoying your morning coffee while you enjoy the peaceful Views. Just a Hop, Skip and a Jump from Diamond Point Park...Don't let this one slip away!!! Gorgeous Rock Pool and Spa home located in the desirable Tuscany Hills Community shows like a Model Home. This Turnkey 5 Bedroom, 3 Bath Gem will not disappoint. Pride of Ownership abounds this home from the Double Door Entry; Italian Marble Entrway Flooring; Vaulted Ceilings; Formal Living Room; Formal Dining Room; Family Room open to Kitchen with Fireplace and Patio Doors out to Pool; Downstairs Bedroom and Full Bath; Eating Area in Kitchen; Granite Kitchen Countertops, Kitchen Island, Walk In Pantry; Master Bedroom with Double Door Entry, Retreat and Double Sided Fireplace; Master Bath with Double Sink Vanity, Makeup Area, Walk In Closet and Separate Tub and Shower; Upstairs Full Guest Bath was custom painted by Robin Golden; Indoor Laundry Room with Sink and Lots of Storage; Ceiling Fans throughout; Security Cameras; Security Lighting and so much more! The Exterior won't disappoint either from the Cat Face Finish Plaster with Stacked Stone; Immaculate Landscaping; Built In BBQ Area, Covered Patio, Slump Stone Block Walls provide a Serene and Private Backyard with Sparkling Grey Plaster Rock Pool and Spa perfect for entertaining on Warm, Summer Nights! Bonus - Please note that the Special Assessments on the Taxes will completely fall off this Summer!!! Call Today to schedule your Private Showing!!!! AMAZING PANORAMIC LAKE VIEWS!!! Located within the Gated Community of Canyon Lake sits a Charming 2 Bedroom, 2 Bath that can easily be 3 Bedrooms plus an Office or Den. This Spacious Home offers an Open Floor Plan, very Light and Bright with Open Beam Ceilings and Knotty Pine. Imagine your Morning Coffee on the Wrap Around Balcony and this View... Features include a Fireplace Downstairs; two Laundry Areas; Master Bedroom can either be Upstairs or Downstairs; Upstairs Bedroom has Large Walk In Closet; Upstairs Bathroom has a Jacuzzi brand Tub with Jets; Circular Driveway; Parking for a small Boat or Trailer; 2 Car Oversized Garage with Pull Through. Located near the Main Entrance for easy access to Shopping and Freeways (centrally located between the 15 and 215 fwys). Don't let this Gorgeous View slip away, call Today for a Private Showing!!! This Single Level Open Floorplan Home is situated on a Corner Lot in a quiet Neighborhood in West Murrieta with no HOA and low Taxes. The interior features 3 Bedrooms plus an Office (could be 4th bedroom), Kitchen opens to Family Room with Fireplace and beautiful Park like views of the Backyard, The spacious Master Bedroom offers a Double Door Entry and his and hers closets. This home also features a Living Room, Dining Room, Lots of Storage, Indoor Laundry, newer A/C Unit and newer Wood Fencing. The exterior features a 3 Car Garage and Private Backyard with Fruit Trees perfect for entertaining. Walking Distance to Middle School and High School. Close to Shopping and Freeway. Beautiful home located in the Moreno Valley Ranch Community! Featuring Lots of upgrades! 5 bedrooms, 3 bathrooms, One bedroom and full bathroom downstairs. Huge Loft upstairs, 2,674 Sq. ft. Large size lot of 8,276 sq. ft. Beautifully upgraded Gourmet Kitchen with Large center Island with Quartz counter tops, spacious Family Room and Living room, Formal dining room, Large Laundry Room located upstairs. 2 Car garage. Close to Shopping, Schools, Dining. Community Pool and Gym. Fishing and boating on the Lake. A must see. Located in the 55+ Gated Community known as "The Oasis" sits this Turnkey previous Model Home. This Beautiful Home features 2 Bedrooms, 2 Baths plus Office; Beautiful Tile Flooring; Spacious Family Room with Fireplace which is open to Kitchen and showcases the Amazing View; Large Master Bedroom with Patio Sliding Doors and intricate Ceiling Detail; Master Bath with Double Sink Vanity, Separate Tub and Shower and Large Walk In Closet; Ceiling Fans; Lots of Storage; Indoor Laundry Room with Cabinetry. The backyard lives up to the name "The Oasis" with its amazing and Peaceful views. Patio Cover and Awesome Views are perfect for Entertaining or enjoying your Morning Coffee. Oversized 2 Car Garage with Epoxy Flooring and Storage Cabinets. Don't let this one Slip Away, call Today for a Private Showing!! This Gorgeous Home located in the Summerly Community shows like a Model Home and features PAID Solar!!! Welcome Home to this 4 Bedroom, 2 1/2 Bath, Formal Living Room or Den and Large Family Room open to the Gourmet Kitchen. Kitchen offers Center Island, Granite Counters and Stainless Appliances including Double Oven, 5 Burner Cooktop, Dishwasher and Microwave. Deluxe Master Bedroom and On Suite Master Bath offers Separate Shower and Tub, Double Sinks, Granite Counters and Large Walk In Closet. Additional Features include Beautiful Laminate Wood Flooring, Oversized Tile Flooring, Dual Zone Heat and A/C, Lots of Storage, Ceiling Fans, Fire sprinklers, New Water Heater, Solar System (PAID), 8 foot Doors Downstairs, Recessed Lighting, Double Sinks in Guest Bath Upstairs, Spacious Laundry Upstairs and Oversized Garage. Perfect for Entertaining is your very own Park Like Backyard, Spacious and Private. Summerly is conveniently located to the 15 Fwy, Shopping, Schools, Beautiful Golf Course and Baseball Stadium. In addition, you can enjoy Spirit Park right out your front door. Don't let this Stunning Home get away, it will go quickly, Schedule your Viewing Appointment Today!!! Private, Peaceful and Spacious describes this Turnkey 4 Bedroom 2 Bath property that sits at the base of the Ortega Mountains and has a Peek a Boo view of the Lake and City Lights. This Beautiful Home boasts a Light, Bright and Open Floor plan. Great Room is open to the Gourmet Kitchen with Center Island with Cooktop, Granite Counters, Stainless Appliances including Double Oven and a nice view of the Ortega Mountains from your Kitchen Window. Master Bedroom and Master Bath offer an Oversized Custom Shower with Dual Shower Heads. Additional Features include Beautiful Laminate Wood Flooring, Oversized Tile Flooring, Lots of Storage, Ceiling Fans, Crown Molding and so much more. Bring your Toys, parking is abundant as this home sits on two parcels expanding over approximately 34,000 square feet. Entertaining is endless from this beautifully landscaped property including long driveway, gate, fruit trees and viewing deck above the garage. Don't let this Stunning Home get away, it will go quickly, Schedule your Viewing Appointment Today!!! Located in the Highly Desirable Community of Summerly is this Beautiful Home with 3 Bedroom and a Large Loft. This Home features an Open Floorplan with Dark Wood Laminate Flooring; Beautiful Crown Molding; Great Room opens to Spacious Gourmet Kitchen with Granite Kitchen Countertops, Stainless Appliances, Large Kitchen Island and Pendant Lighting; Laundry Room with Lots of Storage; Tankless Water Heater; Spacious Master Bedroom offers Great Mountain and Skydiver Views; Master Bathroom offers Double Sink Vanity, Separate Tub and Shower and Large Walk In Closet. The Private Pool Sized Backyard is perfect for Entertaining including a nice Covered Patio. Enjoy Warm Summer Nights around your Built In Gas Fire Pit. Amazing Mountain Views and Views of the Lake Elsinore Skydivers! The Summerly Community offers a Resort Pool, Junior Olympic Pool, Clubhouse, Half Basketball Court and 2 Parks. Located near Storm Stadium and the Summerly 18 Hole Golf Course; very close to Shopping, Restaurants, Entertainment, and easy access to the Freeway and Lake. Beautiful Two Story completely Remodeled home with Main Floor Bedroom and Full Bath. The Interior Updates include: Italian Porcelain Tile Flooring throughout the Entire House; Crown Molding, Baseboards and Interior Doors; Ceiling Fans and Fixtures; Windows and Slider Doors; Quartz Countertops in Kitchen and all 3 Baths; Custom Cabinetry w/Self Closers in Kitchen and all 3 Baths; Stainless Steel Appliances; Window Coverings; Staircase Bannister; Toilets, Sinks, Showers, Medicine Cabinets and Mirrors; Recessed Lighting with Dimmers. Master Bedroom features double door entry with two separate closets and a dual sink vanity with your own private balcony. Exterior Updates include Low Maintenance Artificial Grass in the Front and Back Yards with Drip System. Entertain from your Park Like spacious Backyard with Patio, Firepit and no Rear Neighbor. Don't forget the 3 Car Garage. Close to Shopping and Freeways. Low Tax Area and Low HOA, bring your pickiest Buyers, this Turnkey Beauty is a must see and will not Disappoint!!! Beautiful 4 Bedroom Lake Elsinore home located in the desired lower Tuscany Hills community. This home is light and bright and features neutral tones throughout with an open floorplan. Kitchen has Stainless Appliances and a Pantry and opens to the Family Room with Fireplace, Separate Living Room, Dining Room, Large Indoor Laundry Room, Guest Bath has double sink vanity, Lots of Closets and an Upstairs Loft area. Spacious Master Bath has double sink vanity and generous Walk in Closet as well as separate Tub and Shower. Backyard is great for entertaining with covered Patio and peaceful Mountain Views and don't forget the 3 Car Garage. Make this home your first Stop! Beautiful Cul-de-Sac home located in the desirable Three Rings Ranch Community. This Home is Move In Ready; featuring 3 Bedrooms plus Den/Office (could easily be a 4th Bedroom) and is Light and Bright with an Open Floorplan. Separate Dining and Living Room and Kitchen opens to Family Room with Fireplace. Master Bedroom offers Sliding Glass Doors to the Patio and Master Bath offers Double Sink Vanity, Separate Tub and Shower and Large Walk In Closet. Lots of Storage, 3 Car Garage, Water Softener, Indoor Laundry Room, Recessed Lighting, Ceiling Fans, Window Blinds and the Solar is Paid in Full almost completely eliminating the Electrical bill. Both Front and Rear yards provide Beautifully maintained Low Maintenance Drought Tolerant Landscaping. The backyard is Private with a Large Alumawood Patio cover perfect for entertaining. This Home boasts Pride of Ownership and will not last, bring your pickiest Buyers. No HOA and within walking distance to Three Rings Ranch Elementary School and Three Rings Ranch Community Park. Freeway close for Commuters. BACK ON THE MARKET!!! CRAZY Price Reduction! Hard to find Large Single Story on a Large Lot! Great 4 Bed + Den, 2 Bath built in 2006. Great culdesac location in friendly neighborhood! Wood laminate and tile throughout. Formal Living/Dining combo. Family Room w/fireplace adjoining Kitchen w/island, Granite Countertops, Walk-in Pantry and GE Appliances. Great floorplan with all Bedrooms being quite ample. Master Bathroom has separate shower/tub, dual sinks and walk-in closet. Large Laundry Room w/Sink. Large patio slab in backyard that's awaiting your imagination. 2 Car Garage has extra storage area perfect for golf cart/ATV/Motorcycles. Welcome Home to this 55+ Golf Course Senior Community home located in the sought after Sun City Civic Association of Menifee. Featuring Affordability this 3 Bedroom, 2 Bath home offers an added Bonus Room with new Carpet and a 2 Car Garage. This Light and Bright home shows Pride of Ownership offering upgraded Bathrooms, Newer Roof, Swamp Cooler, Ceiling Fans, Lots of Storage including a Workshop/Shed attached to Rear of Home with separate entrance, His and Her Closets in the Master Bedroom and an Indoor Laundry Room. The private backyard has no rear neighbor, great Golf Course Views and a nice covered patio for all of your entertaining. Conveniently located close to Shopping, Dining, Golfing, Medical Facilities and easy freeway accessibility. Low Taxes & Low HOA, perfect for retirement. This Beautiful Main Lake Waterfront Lot is one of the few remaining Flat Buildable Lots within the Gated Community of Canyon Lake. This Lot is located on one of Canyon Lake's most Prestigious Streets surrounded by Custom Waterfronts and rests above Little Fish Cove and very near to Moonstone Beach. This Flat Lot sits ready for you to Build your Custom Dream Home. The Community offers numerous Amenities such as Boating, Water Skiing, Slalom Course, Wake Boarding, Tennis, Golf, Equestrian Center, Campground, Restaurants, Multiple Parks and Beaches and so much more. Turn Key Pool Home located on a Large Corner Lot on a quiet Cul-de-sac. This cute 3 Bedroom, 2 Bath Home features an Open Floor Plan that is Light and Bright with beautiful dark Wood Laminate Flooring and Tile throughout. Beautiful Wood Beam Ceilings, Ceiling Fans and Lots of Storage. The Bathrooms have just been upgraded with New Tile Flooring, New Tile in Showers and Fixtures. The Kitchen offers Stainless Appliances and an Island. New Dual Pane Windows and Patio Sliding Door, New Interior Paint, New Baseboards, Newer Garage Door. This home boasts Pride of Ownership. Entertain in your Private backyard with your own Sparkling Pool with Diving Board just in time for Summer. Don't let this one slip away, it will go quickly, call today for a private showing!! Located in a very Private and spacious Rural area of Menifee sits this 3 Bedroom, 2 Bath Manufactured Home on just over Half an Acre of Flat, Usable Land. The Property also features a Detached and slightly Oversized 2 car Garage. The Home includes a Living Room, Dining Area, Family Room with Wood Stove, Master Bedroom on opposite end of the House, Indoor Laundry Room, lots of Storage and Expansive Covered Porch. The Property is on Septic and Propane with a Shared Well. Lots of Room for all of your Animals. Priced to Sell quickly due to the deferred maintenance and Upgrades needed. With some TLC this Property will be Amazing!! 2 Bedroom, 2 Bath Senior Home located in the heart of Sun City's 55+ community sits on the Golf Course and will not disappoint. Home features newer paint on the Interior and Exterior, Newer Plantation Shutters, newer tile in Bathrooms, newer Electric Cooktop, Newer Ceiling Fans and the windows have been upgraded. Covered Patio allows you to enjoy the Golf Course views with low maintenance, drought resistant landscaping in both the front and back. Enjoy all these amenities - 4 clubhouses, 5 pools, spas, shuffleboard courts, billiard rooms, and so much more - you will get in Sierra Dawn Estates, a 55+ community where YOU OWN YOUR OWN LAND! This Open concept 2 bedroom 2 bath manufactured home is in turnkey condition and has everything you need!!!! Low maintenance yard! The home has recently been upgraded - new paint, LED lighting, laminate flooring, and dual paned windows throughout. Updated electrical and plumbing. The kitchen has brand new cabinets, a new sink, garbage disposal, microwave, gas oven, and dishwasher. Bathrooms have new sinks, vanities, and a shower enclosure. Living room has many windows allowing natural sunlight and a beautiful view of the San Jacinto Mountains. The laundry room includes the washer, dryer, a utility sink and lots of extra storage. There is even a 12x30 bonus room/den with built in shelving. Utility room with a door to outside access. Home is conveniently located near major highways, shopping, dining, and entertainment. Fixer, Investment Opportunity, Own the Land and the Manufactured Home. 3rd Bedroom is being used as an Office with no Closet. Major Repairs needed and Home is not on a Permanent Foundation so Cash Transaction Only. Master Bathroom has been gutted, Roof Leaks have been repaired but Interior Ceilings not Repaired, Add on Room needs to be torn down, no Flooring, Property needs Fencing. Basically the value is in the Land. 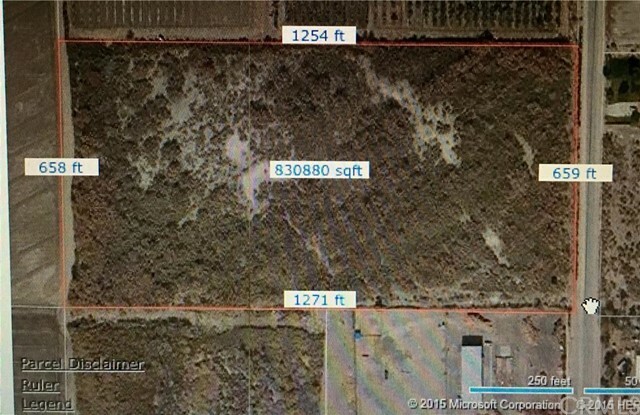 2.12 Acre parcel in Quail Valley/Menifee. This is the largest parcel in this developed area! This lot is flat and has already been graded for building. Views from the property are incredible featuring Mountain Views, City Views and Canyon Lake water views! The property has water and electrical at the street and the street is paved to the property line. Please note this property is located in an area where Septic Tanks are not currently being permitted and there is no Public Sewer so therefore a house can not be built nor can a Manufactured Home be installed at this time. Buyer to verify Moratorium, Boundaries, Building requirements and alike to their satisfaction before the Close of Escrow. This property is close to Shopping and Freeways. Price Reduced - 2.12 Acre parcel in Menifee. This is the Largest parcel in the developed area! This lot is flat and has already been graded for building. Views from the property are incredible featuring Mountain Views, City Views, and Canyon Lake Water Views! The property has water and electricity at the street and the street is paved to the property line. Great investment property or retirement home, close to all your needs. Cute condo Across the street from markets, banks, restaurants. Terrific location. walking distance to recreation center. Currently tenant occupied. HUGE PRICE REDUCTION - A Total of 5 Parcels, connected with a very useable, flat pad equaling approximately One Acre; 1 of which is on the corner of Cottonwood Street and Spruce Avenue, 1 on the corner of Spruce Avenue and Orange Street and the other 3 are connected to the corner lot on Orange Street. These parcels consist of 361-114-010, 361-114-011, 361-114-012, 361-114-013, 361-114-014. Buyer to verify all permits, use, easements, right of ways, boundaries, utilities, septic, etc. Located towards the end of a Cul-de-Sac on the Left Hand Side sits this Large Lot with beautiful Mountain Views. Lot Dimensions are approximately 45' Street Side x 533' Deep x 54' at the Rear. Water Meter already on Property and Property is 90% Fenced. Please note there is a Moratorium on new Septic Permits and there is currently no Public Sewer so there is no Building at this Time. Buyers to verify to their Satisfaction. Close proximity to Freeways and Shopping. Nice Sized Lake Elsinore lot with a great country feel. Perfect for a custom home or spec builder. Lot fronts to Gunnerson but can also be accessed via Ulmer Street. APN # 378-171-021 on.30 acres. Septic system is required on this one but parcel already has water hooked up at the property with an existing water account with EVMWD (see supplemental). Property sold "AS-IS" and buyer and agents to perform their own investigations and due diligence but lots of work already done for you on this one. Buyers and all interested parties to verify bounties,utilities,easements,right of ways, access, building requirements and zoning with Riverside County and City of Lake Elsinore. Large Lot, Dimensions are approximately 129' Street Side x 128' Deep x 131' at the Rear. Please note there is a Moratorium on new Septic Permits and there is currently no Public Sewer so there is no Building at this Time. Buyers to verify to their Satisfaction. Close proximity to Freeways and Shopping. Nice Flat Lot, dimensions are approximately 50' x 101' Deep. Please note there is a Moratorium on new Septic Permits and there is currently no Public Sewer so there is no Building at this Time. Buyers to verify to their Satisfaction. Close proximity to Freeways and Shopping. OWN ALMOST HALF AN ACRE IN THE MENIFEE AREA NEAR CANYON LAKE. THE VACANT LOT IS ON THE RIGHT SIDE JUST PAST THE HOUSE. THIS PROPERTY IS REAL ESTATE OWNED AND BANK WANTS IT OFF THEIR BOOKS. JUST A FEW MILES FROM CANYON LAKE OFF GOETZ AND THE 215 FWY. THIS PROPERTY CAN BE PURCHASED AS A BUNDLE. OTHER VACANT LOTS INCLUDE GLENWOOD AND JACARANDA CURRENTLY LISTED ON MLS. CALL FOR FURTHER INFORMATION. Huge Price Reduction - Great location within Walking Distance to the Lake and Downtown. This 2 Bedroom, Single Bath Doublewide Mobile Home is perfect for a first time buyer. It includes a Shed, Low Maintenance Yard and 2 Parking Spaces. Own the Home and Rent the Monthly Park Space. Two Vacant Lots for the price of One. One of the Lots is located at the corner of Oak Avenue and Orange Street and the other Lot is directly next door on Orange St. Approximately 8,680 sf each, measuring approximately 140 x 62. No utilities on property. Rural. These lots are close to the Canyon Hills shopping area and the 15 Freeway. Located behind the Housing Tract of Canyon Hills. Priced to sell! Nice, Flat Pad with wonderful views of the Hills and Mountains. Close proximity to Freeways and Shopping. Nice, Flat Pad with wonderful views of the Hills and Mountains. Located towards the end of a Cul-de-Sac. Lot Dimensions are approximately 180' x 160' and 138' x 31'. Close proximity to Freeways and Shopping. Land located in the Country Club Heights area of Lake Elsinore. This parcel is located in Riverside County between San Diego and Orange Counties close to the I-15. Buyer to investigate to their own satisfaction, all reports including, but not limited to land usage, zoning, corners, boundaries, locations of all utilities including gas, electric, water and sewer. Spectacular Mountain and Lake views from the Living Room, Kitchen, Master Bedroom and Spacious Balcony of this Single Level 4 Bedroom and 2 1/2 Bath home. The home is located on a quiet cut-de-sac and features a Casita connected to the Main House by an Inviting and Private Front Patio. The Casita could be used as a Hobby Room, Home Office, Work out Room or Man Cave. The Guest Bathroom is Newly Remodeled and the Entire House is Freshly Painted. The Kitchen features Granite Countertops, Full Pantry and a Separate Formal Dining Room. Spacious Great Room offers endless Mountain Views from its Wet Bar and Fireplace. The Master Bedroom includes Patio Sliders out to the Balcony with Views; Master Bath includes Spa Tub, Separate Shower and Walk in Closet. it also has a 3 Car Garage with lots of storage and a built in work bench as well as a Separate Laundry Room. Low Maintenance Front Yard with Artificial Grass and Queen Palm Trees. Home is available March 1st. Lease this beautiful Home Located within the Gated Community of Canyon Lake featuring 3 Bedroom, 2 Bath with just over 2,000 sf of living space located on a Corner Lot. Neutral colors throughout, Open Kitchen with Wood Laminate Flooring, Granite Counter Tops with Stainless Steel Appliances and a cozy Fireplace in the Family Room. Detached 2 Car Garage and Low Maintenance Yard make this Home a Must See. Available for Move in approx April 1, 2019. Located within the gated community of Canyon Lake is this Clean 3 Bedroom, 2 Bath, Light and Bright home with an Open Floor Plan. Laminate Flooring, Great Room with Fireplace, Galley Kitchen, Lots of Storage and Indoor Laundry Room. It features a Private Park like Backyard where a Brand New Wood Patio Cover will be Constructed. Available for immediate Move-in. Call today for a private showing!